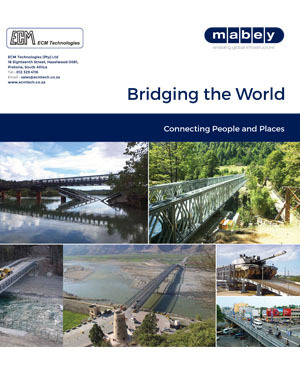 Mabey Bridge has designed, manufactured and delivered superior bridging to more than 140 countries. Offering the largest available range of modular bridge systems, Mabey Bridge solutions are used to develop, improve and repair essential infrastructure in urban and rural areas, including the most remote and challenging locations. From restoring vital lifelines in disaster-hit areas, to enabling economic development through essential infrastructure improvements, to upgrading military supply routes, Mabey Bridge is a world leader in high-quality, cost-effective, easy-to-assemble, pre-engineered modular bridging solutions for temporary and permanent use.